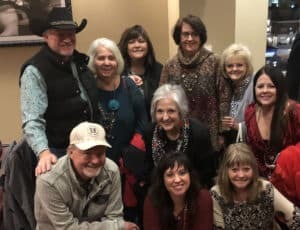 Myeloma patient Laura Drake and husband Marty of Idalou, Texas, celebrate her continued remission annually with a cocktail party in Lubbock with their friends. The party raises awareness of the disease and money, more than $5000, for the Myeloma Center. March 21, 2019 | March 21, 2019 | Texan Laura Drake loves a good party — especially when it’s raising money for a worthy cause. Since Drake’s remission from myeloma in January 2014, that worthy cause has been helping fellow myeloma patients at UAMS. 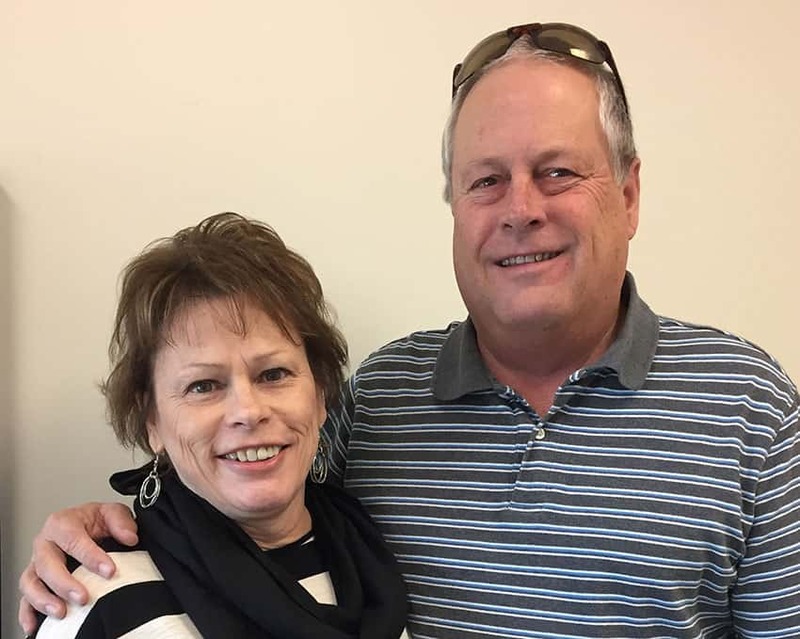 For the past three years, the 57-year-old church secretary and husband Marty, a cotton farmer, have celebrated each January by hosting a fundraising cocktail party in Texas to benefit the Myeloma Center. Their donations to the center’s patient support fund assist others with gas, food, or lodging. So far, the Drakes have raised more than $5,000. “The party came to be because we had mutual funds with a company that offered a $250 debit card to pay for expenses if you held a fundraiser for a charity,” Drake said. The first year, the couple used the debit card to pay for wine and appetizers at a local winery, McPherson Cellar, and raised more than $1,000. The second year, they used it to ‘upgrade’ the appetizers at a party at the Texas Tech Club where the couple are members. They raised more than $1,000 that year, too. “This year, we no longer had mutual funds with the company offering the debit card but the Texas Tech Club sponsored the fundraiser for us,” Drake said of the club overlooking the university’s football field. The first two years, their guests were asked to make a minimum donation of $10. This year, they were asked to make a donation of at least $20. The Drakes’ most recent party this January featured heavy hors d’oeuvres, cocktails and door prizes of lunch and dinner, all donated by the Texas Tech Club. Local musicians Kenny Maines and Jenni Dale Lord performed for about 75 attendees, including Marty’s dad, Jimmy. The party raised $3,040. Friends of Laura and Marty Drake of Idalou, Texas, recently gathered in nearby Lubbock to raise awareness of myeloma and money for Laura’s fellow patients at the Myeloma Center. Drake was diagnosed with the rare blood disease in the spring of 2013. “This place is not just on the cutting-edge of research, it also became my comfort zone. I knew everything done here would be exactly right.” She came to the Myeloma Center eight times over her first year for about three and half weeks each time and was treated with chemotherapy and a tandem stem-cell transplant. Drake and her husband remain in touch with patients and caregivers they met during her treatment, including some of the spouses of patients who’ve died. Drake, who completed three years of maintenance therapy in July 2017, looks forward to her twice yearly visits to the Myeloma Center.